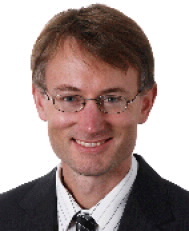 JCU has appointed Jonathan Churchill as its new Director, Information Technology & Resources (ITR). Oct 26, 2012: - James Cook University has appointed Jonathan Churchill as its new Director, Information Technology & Resources (ITR). Currently Associate Director, Technology at the University of Adelaide, Mr Churchill will take the JCU position on January 21, following the retirement of Kent Adams. JCU Deputy Vice Chancellor Dr Stephen Weller said that Mr Churchill was joining the University at a time of dynamic changes in the technology environment. With a BSc (Hons) from the Imperial College London, an MSc from the University of Port Elizabeth and an MBA from the Australian Graduate School of Management, Mr Churchill has been responsible for 150 staff, a $20M Operating Budget and a $10M Capital Budget at Adelaide. “Under Jonathan’s leadership ITS at Adelaide University have received numerous service and innovation awards,” Dr Weller said. “Jonathan was responsible for leading the Unified Portal Project, which created a new vision for online service delivery, and integrating services and applications in a new ICT Architecture to achieve a new level of customer experience and business benefit. Dr Weller said that Mr Adams was retiring at the end of 2012 after 42 years of distinguished service to JCU and the wider higher education sector.